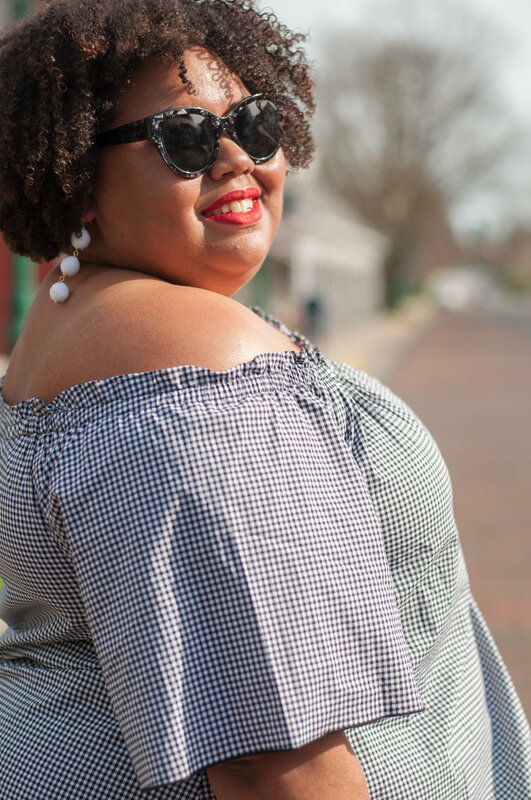 Gingham has been popping up all over this season. 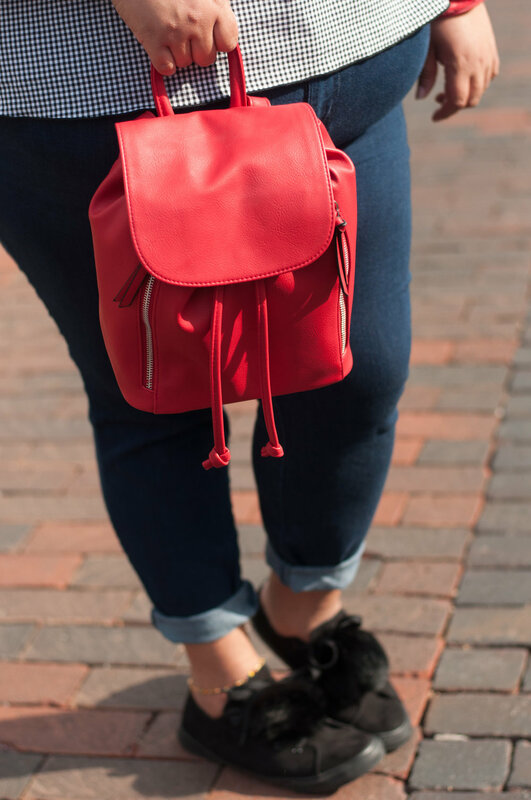 We've seen them in big and small squares, dresses and shirts...and even pants! This print id perfect for Spring and can be dressed up or down. 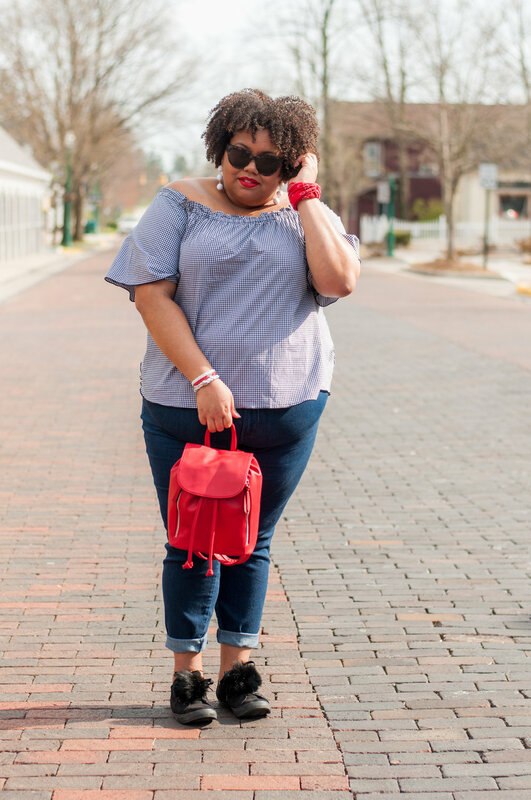 Today's look features an off-the-shoulder number in this super on-trend print. 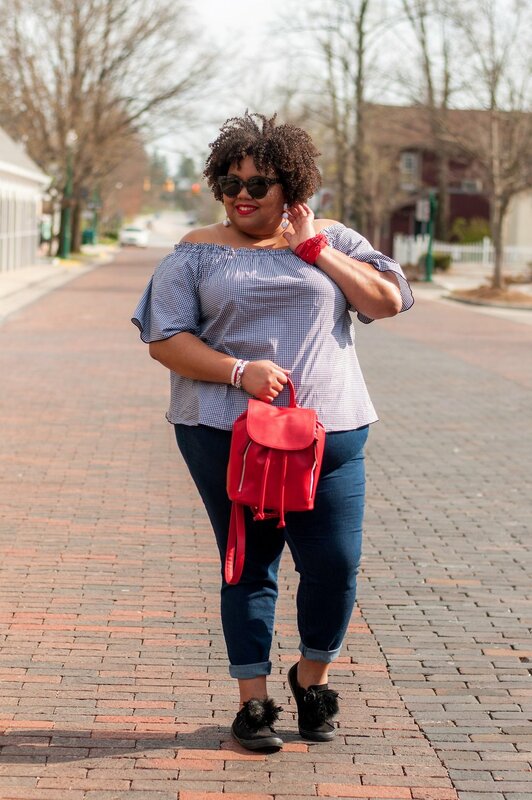 Perfect for a walk down Main Street USA, this look is made for the on-the-go curvy girl. 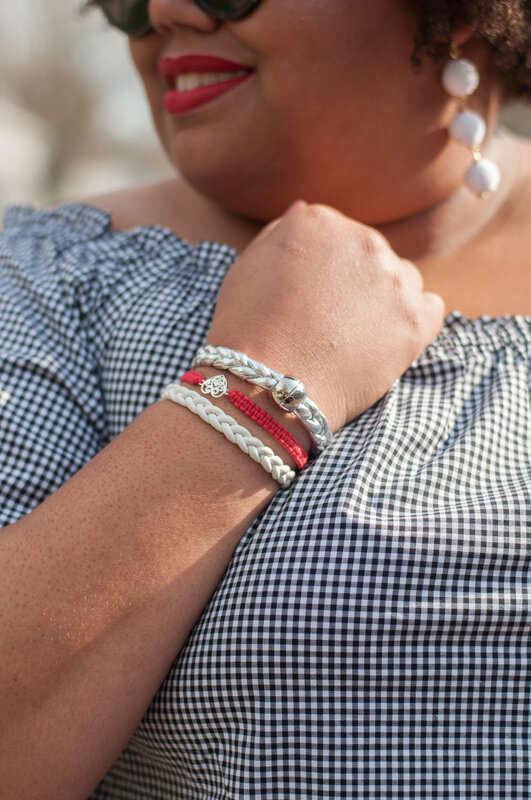 What do you think of my gingham style? Let me know below!